Its actively enforced policy is not located on website's primary pages, but in a 2015 article in the Reports section. Its actively enforced policy, while clearly spelled out, is not located on the website's primary pages and was only located through a search of the website. "Our interpretation of the main passages confronting the issues of the diaconate and women’s ordination led the majority of the committee to conclude that ordination is for called and qualified men." 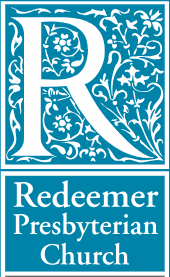 "Thus, women at Redeemer will be free to use all the gifts, privately and publicly. There are no restrictions on ministry at all. There is a restriction on the office of elder. Why? Because the Bible precludes it, and therein it points us back to the Trinitarian pattern which is strong in marriage and muted in society, but which is practiced in the church."